Every once in a while, you would like to give yourself the luxury of eating fast food items complete with a scrumptious dessert. But then you get to think of all the calories that would come with the sweet treats and decide to back away from them completely. Don’t deny yourself of these little joys! 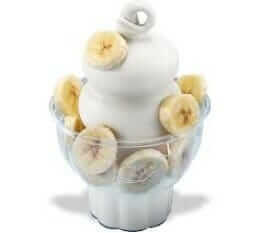 You can still have some healthy desserts or sweet treats from fast food places without adding too much calories. If you would like to have a dessert to accompany your fast food meal, here are some of the healthy fast food desserts you can choose from. Enjoy the flavors while having just a few calories! Instead of just going for their Hot Fudge Sundae, try their healthier option of Fruit ‘N Yogurt Parfait. Yogurt has helpful probiotics in your system and can make your gut function better. Instead of the calorie-rich hot fudge offer, you can save yourself about a hundred calories by having the fruity parfait instead. 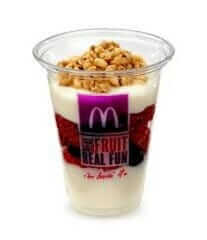 With just 160 calories, you can enjoy real berries in your McDonald’s fruity parfait! 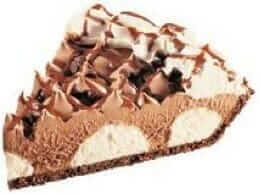 You can see the other desserts McDonald’s have by clicking here. 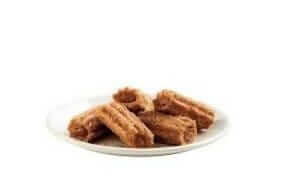 With just a single churro, the crispy, crunchy, and cinnamon-filled goodness of this little treat won’t harm your calorie count. One danger is that you may have a hard time stopping because these are addictive. Stick to just one or two pieces to stay within the safe range of calories from desserts. On second thought cinnamon is beneficial to the health and this is another plus factor from this little treat! Go to Jack in the Box menu price list to see what other healthy treats they have for you. It would take minimal effort to imagine that this only contains 200 calories. Despite its plainness, it is still a worthy treat! The regular cone can be a joy to consume and the subtle sweetness is just enough to satisfy that sweet craving after a full meal. Fruits in any dessert. The importance of this fact cannot be stressed enough when picking healthy fast food desserts. Dairy Queen is spot on with their entire sundae offerings. Their sundaes, including the banana sundae, have only 330 calories and even when you choose to add chocolate syrup, you won’t exceed 400 calories for a well-sized dessert that you can even share! Click here to see Dairy Queen’s complete list of sweet treats. 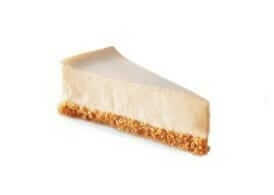 Another of Jack in the Box’s healthy fast food desserts, a slice of this cheesecake can give you just a low calorie count since it has a skimmed milk base. It has only 310 calories—not at all bad for a filling dessert! Despite the sweet name, the Hershey’s Sundae Pie from Burger king has even less calories compared to a banana sundae from Dairy Queen. With only 300 calories, you might even stop earlier from enjoying this sweet treat because of its concentrated sweetness. So far, this Burger King offer is the lightest chocolate pie you’ll find. The whipped filling makes it much lighter compared to other custard-based pies. A single donut is a treat in itself! After a Bunwich and a cup of coffee perhaps, add only 270 calories from their Chocolate Frosted Donut. It will offer the filling sensation of a good dessert and the sweetness of chocolate without having too much of the actual high-calorie chocolate itself. Click here to go to Dunkin Donuts menu page. Going even lower on the calorie scale, you might want to try P.F. Chang’s offering for dessert. Their Red Velvet Cake Mini has only 210 calories while satisfying your craving for the famous red velvet creations. Their whole lineup of a shot – glass sized mini desserts are also worthy trying and would definitely make a mark on your heart when it comes to low-calorie dessert options. Cookies are known to be the downfall of dessert lovers because they usually come in packs which you can’t seem to stop eating. By ordering just a chocolate chip cookie from McDonald’s, you can satisfy your sweet tooth and not be guilty of having to eat a whole pack of cookies. Each cookie has just 160 calories and when you stop after just one, you’ll realize that a single cookie is all it takes to stop the sweet cravings. 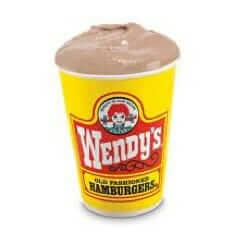 With just a small-sized Wendy’s Frosty, you’ll have the subtle sweetness and filling sensation of a good dessert. It has only 250 calories which is not bad considering its size and taste. Visit Wendy’s menu page to see the other sweet treats they have. • Order the smallest size available – Enjoy mini desserts from fast foods or restaurants since they pack in the sweetness but contain relatively few calories. Think of it as being able to burn those extra calories while simply talking and laughing over you dessert moments! Smaller items mean less calories and you’ll soon realize that you don’t exactly need a whole lot to satisfy your cravings for dessert. • Try the soft-serve ice creams – These are light and subtly sweet, but can give you the feeling of having a lot of ice cream for you to enjoy after meals. 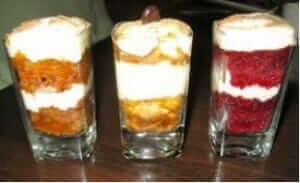 • Pick fruity desserts – Whenever available, choose the fruitiest dessert possible, and sans the syrup if you can. Whipped cream and fruits make excellent dessert options since the cream is light and the fruits have vitamins and fibers which are great for you as well. • Stay away from concentrated milk or chocolate – While some desserts make these items a staple, you can be healthier by cutting down on the chocolate topping or milk-based shakes. Healthy fast food desserts would contain just a few lines of chocolate syrup on top or none at all! Fear not when it’s time for dessert with these healthy options from your favorite fast food places!